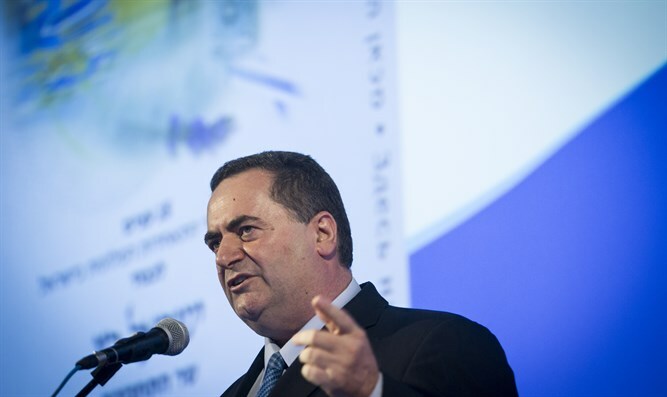 Minister of Transport and Intelligence Yisrael Katz (Likud) has called for the dismissal of Malakuba Nassar from her new post as head of information in the Arab sector for the National Road Safety Authority. The daily Israel Hayom reported that Malakuba Nasser, a 40-year-old Israeli Arab woman - who continues to receive her salary from the State - is active in radical pro-Palestinian and anti-Zionist organizations. She herself has mentioned in her Facebook account her membership in the Palestinian Displaced Persons Association, which works to bring Palestinian Arab "refugees" to Israel. In light of the facts uncovered, Minister Katz announced unequivocally that any legal means should be found to immediately terminate the new employee from the National Road Safety Authority. "Those active in Palestinian anti-Zionist organizations don't deserve to be given an educational and explanatory role on behalf of the State of Israel, in such an important field as road safety," Katz said. The Minister added that in light of the information that was uncovered, the National Road Safety Authority must take legal measures and suspend her from her position immediately. Nassar, originally from the village of Araba in the Western Galilee, participates in events commemorating Nakba Day and the "procession of return" of Israeli Arabs. In this spirit, she also posted a comment on the Facebook page of the Haifa municipality on the subject of the renewal and development of the Wadi Salib neighborhood in Haifa, where she wrote of "the plans of the Haifa Municipality to complete the theft of Palestinian houses in the city." In August, Nassar attacked the Israel Police following clashes with demonstrators in the Arab sector and wrote: "(expletive) Police: The Israeli Police quickly proved that it is ready to upgrade its tools and capabilities in order to crack down on demonstrations and protests ... This is primitive police, that only can rely on one who turns himself in or confesses or someone their collaborators informed on ..."
In a post that relates to the Prisoners' Entry Law, Nassar wrote of Internal Security Minister Gilad Erdan: "If nobody's noticed, we're dealing with a police minister who is a thug and a criminal. The National Road Safety Authority responded: "We hire workers regardless of their political opinions, gender, inclinations, etc., but according to their suitability for the job. The worker was found to be suitable by the vetting committee for the role of road safety in Arab society. In conversation with the employee it was made clear to her that as a public servant the rules of discipline customary in the civil service apply to her."